Acharya Institute Of Technologyis established in the year of 2000 with setting a benchmark in a world of education. The institute spread across the 120 acres of pristine land located in Bangalore having a top notch with multinational companies. Institute has been rewarded as ‘technology hub’ by Indian corporates. The institute is affiliated with Visvesvaraya Technological University, Belagavi developing professionals in various disciplines. The institute organizes co-curricular, extracurricular, curricular activities in arts, sports, clubs and forums. At AIT, students are encouraged to participate in research development and project fair activities. 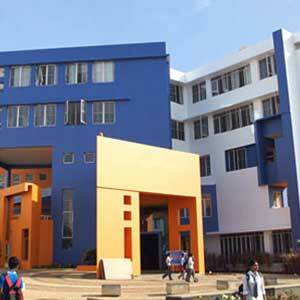 The institute offers 13 UG programmes, 11 PG programmes, and research programmes. Institute also provide great exposure to students for internships, entrepreneurship and research aided activities. To nurture value-based education with the innovative human enterprise. To provide inspirational initiatives for recognizing academic excellence. To deliver professional knowledge in the field of computer applications for meeting challenges of the global industry. To impart excellent theoretical and practical education for providing innovative teaching and training for the personal development of students. Top Recruiters Infosys, Wipro, HUAWEI, L&T Infotech, Toyota, KPIT etc. Admissions at AIT are totally depended on MAT/KMAT/PGCET/CMAT scores. Candidates need to fill the application form available on the website. Make a payment via online payment method. Take a printout of application form and submit to the institute. Candidate should have a bachelor degree from a recognized university. The aggregate of subjects must be 50% & above. AIT runs 5 hostels for boys and 7 hostels for girls with a capacity of 1500 residents. Single, Double, three bedded rooms are available with facilities like newspaper, TV rooms etc. The campus has a well-spaced dining hall provide easy and accessible lunch with affordable food services along with snack options. Each residence in the hostel monitored by supervision of chief warden and deputy warden. Institute provides indoor and outdoor sports facilities such as football, table tennis, cricket, basketball etc. Horse riding also available at the institute premises. Acharya Institute of Technology provides ambitious and real-time job opportunities to students through the placement process. Placement cell at AIT organizes campus recruitment interviews for final year students and internship opportunities for prefinal year students. To optimize educational outcomes by advancing job placement and training to students. To enhance placement-oriented programmes with organizing preplacement activities. At AIT, we believe in fueling the quest for knowledge. Our commitment towards building individual professionals culminates in benefiting society. Institute has a vast state of the art infrastructure putting best teaching talent ensuring diverse learning for the students. The academics of AIT encompasses a wide range of studies including engineering, management, technology, life science, pharmacy, teaching, journalism, communication, fashion design etc. We provide practical & industry-based education to students. Today, we are the familiar face of industry nurturing young minds.